A plane? A satellite? An asteroid? Probably. Eighty percent of supposed UFO claims are mistaken, 10 percent are hoaxes, and a miniscule 5 percent of the 6,000 reported sightings are real, said John Ventre, state director of the Mutual UFO Network, an organization that investigates such reports. Ventre made his comments Sunday, the last of a three-day UFO convention at the Sheraton in Falls. Approximately 350 people — a mix of true believers, skeptics, and doubters — attended to hear from UFO experts, whose belief in extraterrestrial life is based in varying methods of investigation, ranging from scientific examinations to radio-wave monitoring. Ventre, who traveled from Greenburg, PA., for the conference, said that MUFON is not a paranormal group, but a scientific one based on research by members. Trace evidence gathered from radar, sonar or pictures lead to definite determinations on whether a UFO report is legitimate, he said. He recounted the claims in 2008 by a Levittown resident who said she saw a UFO hovering over her property about 3 a.m. one day. The woman said she saw a ship from which “metallic sprinkles” dropped into a tree in her yard. “We investigated, we took leaf samples from the tree and from other sources and found the chemical boron on the woman’s tree leaves, and on no other nearby trees or shrubbery. The boron is a typical substance found near sightings,” Ventre said. The conclusion was a UFO really paid a visit to Levittown, he said. Travis Walton, an Arizona resident, had a much more intense experience, one on which a movie, “Fire in the Sky,” and a documentary on the Syfy Channel was based. On Nov. 5, 1975, Walton and several other loggers were walking home through a wooded area after their shift, when a round, metallic vessel appeared above them. Walton was enveloped in what he called an “energy force,” which witnesses described as a long blue flame. He was taken aboard the vessel for five days among travelers he described as, “some human, some 4 feet tall, big-eyed, hairless creatures,” he said. Walton recalls being traumatized by the experience, one that will remain with him for the rest of his life. “It derailed my life. I wish it never happened,” he said. Talks at the convention revolved around life beyond Earth and participants reported having mixed feelings. Some were scary, like Nick Redfern’s “The Real Men in Black,” creatures — men (hostile), women (always very “hot”) and children (that always wear black hoodies) that visit unwitting humans. “This is my second time and I’m both skeptical and open-minded. It is small-minded to think we are the only living creatures, but I take it with a grain of salt. I’ll still be able to sleep at night,” said Carolyn, a Yardley resident who asked that her last name not be used. Jamie Victor of Warrington has an interest in the topic and attends to hear what experts have to say. “Everything is open to interpretation. I haven’t had any (extraterrestrial) experiences. I just like to see and hear information that’s not on the Internet,” he said. We will immediately comply with any copyright owner who wants their material removed or modified. 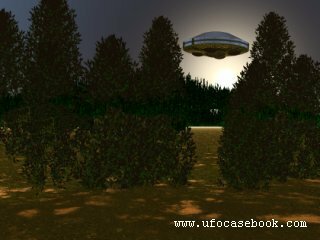 All articles and images contained on the UFO Casebook which are not created by the UFO Casebook are attributed to the original owner/creator.